Woman Claims to be "Protecting her 13 year old Grandson" from "bad cops"
Looks to me like THREE generations who THINK they are entitled to resist arrest and attack cops in the course of carrying out their lawful duties. A new law was passed in the MO House in February 2017, to protect police from protesters. Last edited by Molly on Tue Sep 26, 2017 9:00 pm, edited 1 time in total. a private citizen that they felt had offended them? I see on twitter... reference to the "13 year old" Kicking a cop. 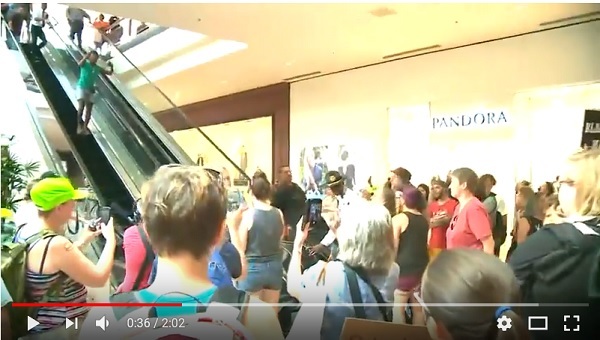 I am CONVINCED that pics (and vids) of the Galleria incident are being censored... but would LOVE to see pics or a vid of the "Kid's" initial interaction with cops.. and what he was doing before that. 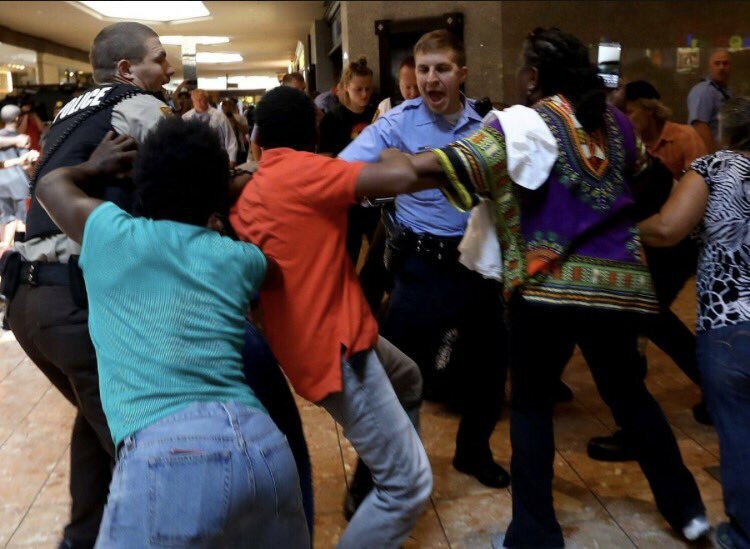 ST. LOUIS COUNTY, MO - For the first time, we are hearing from a grandmother who was protesting at the Galleria and was arrested after police gave the order to disperse. Fifty-seven-year-old Karla Frye was among the people arrested and charged and she's become a face of the movement. Her 13-year-old grandson was also briefly detained. Some people have publicly suggested that police used improper force to make the arrests, something the police refute. But though Frye has declined to a formal sit-down interview, we're now hearing from her in her own words about that day. In a video, one can see Frye yelling at and touching police as they make another arrest. Frye's now charged with third-degree assault on a law enforcement among other charges. 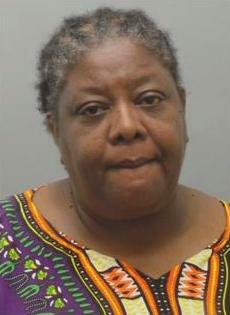 Police say she jumped on the back of an officer, as apparently seen in pictures from the Post-Dispatch. In a jail phone call obtained through a public information request by News 4, while talking to a local news reporter, Frye does not mention that. “I started yelling and the guy grabbed me and somebody else came up behind me and grabbed me. And I was telling them to stop, leave me alone, let me go,” Frye said. “My grandson started to help me and they grabbed him, so that upset me more, it became a melee,” Frye said. Frye says prior to that, she did hear a dispersal order from police. “I was at the protest and they put out a call for us to disperse and I um, stood there for a minute and I turned, and as I turned to look at the escalators, they started to advance on us,” she said. In the call from jail, Frye makes it clear that she wasn’t hurt. “My blood pressure is quite elevated because I have high blood pressure. But I am not hurt. The manhandling hurt, and it was a discomfort more so, but I am not hurt,” she said. When asked what she wants the public to know, she makes does not reference the actions of law enforcement during the arrests. “I think the protests are going on are effecting change,” she said. I'd lock up the Grandson, and his Momma as well... but that's just me! This is a SS I got from a video. The girl in green is telling people at the bottom not to get on it. Looks like maybe a store employee in white shirt & tie at top is trying to walk down the UP escalator to get her. Looks like no one is using the down escalator either. 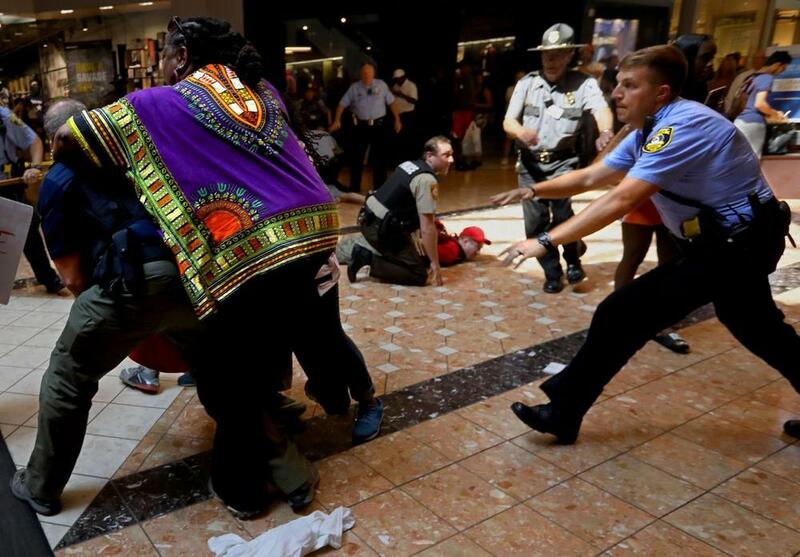 Per news articles, this is when store management asked police to intervene in the protest. The Galleria Mall protest was all about stopping the customers from shopping! It was in their chants and their intent to disrupt is apparent. Don't protest inside a mall store, FFS! Girl in red shoes resists arrest. Grandma is behind two officers, filming with her phone. Grandma grabs arresting officers several times. Grandson tries to pull Grandma away from cops. Then you can't see what happens behind the column. I feel really sorry for the grandson all scared and crying. Thuggery in the making. Bad choices Grandma. The escalators have been shut down so I am guessing this was after the disbursement announcement, but IDK. I'll let you take SS pics, Rumpole. You are much better and so is the final quality of your photos. Oh, I quit watching too soon. There is more of it from a different angle at the 3:30min mark but the quality is not as good. The vid CLEARLY shows violent Grandma.... attacking cops before the "grandson" involved. She's got three attorneys from three different law firms. They jumping on this one. Granny's January 8, criminal setting hearing was cancelled. She still has three law firms on record representing her. IDK if a hearing was held on Monday or if there is a continuation. No update yet. A Stipulated Protective Order was filed 1/17/2018 by one of her FOUR attorneys (four different firms are listed). The PO has to do with discovery and what the prosecutors can ask re interrogatories. This is very odd to me. I'll check end of week. February 26, 2018 hearing continued. Apologies for letting this one slip by, Rumpole. I've been busy. She still has FOUR attorneys representing her. No update on Monday's hearing. I will keep checking next week.